(Philippine Flight Network) - AirAsia Zest has announced that it has realigned operations as a result of over capacity in the Philippine domestic market. The airline has revised its route network and plans to reduce capacity. In a disclosure filed at the Kuala Lumpur Stock Exchange, AirAsia Malaysia reported that its Philippine affiliate will be reducing its number of aircraft to fourteen in an attempt to "remove excess capacity from domestic routes while building more international routes out of Manila and Kalibo." It added that the airline's Kalibo hub, gateway to Boracay Island, has been positioned as an entry point into the lucrative international markets of Southern China and Korea. AirAsia Zest was planning to end the year with a fleet of sixteen aircraft after accepting delivery of an additional two aircraft from the airline's Malaysian parent firm. However, while those two additional aircraft are still expected to arrive, unconfirmed reports suggest that the airline will be returning two of the existing aircraft in its fleet upon expiry of the current lease agreements. Under the new plan, AirAsia Zest would end the year with fourteen aircraft. AirAsia Zest recently suspended its flights to Bacolod and Iloilo last year and plans to reduce its frequencies to Davao down to six flights per week. The airline plans to focus on the more profitable international sector where the airline has a pending application with the Civil Aeronautics Board to increase its service to Macau up to daily flights from the existing three per week. When the two new aircraft arrive from Malaysia, AirAsia Zest is planning to sharply increase its market share with the addition of new international routes to Japan and China. According to AirAsia Zest CEO Alfredo Yao, the airline would also like to increase its 10-percent share of the domestic market in 2013 up to 15-percent in 2014. "The way I look at it, it's still going up," said Yao. "The market continues to grow and there is no need to grab and get the market of competitors." He added that the same sentiments were shared by AirAsia founder Tony Fernandes who was bullish about Philippine tourism. "Together with Tony Fernandes, we say that we are very bullish about Philippine tourism, and that we will keep expanding the Philippine market," said Yao. AirAsia Zest is currently studying the possibility of launching direct flights from Kuala Lumpur to Davao given the recent peace talks with the Moro Islamic Liberation Front. "We are also looking at other places in Mindanao," said Yao. The airline recently revealed that it would launch direct flights from Kuala Lumpur to Kalibo later this year. Yao is currently awaiting congressional approval for the sale of his 51 percent share in AirAsia Zest. The shares will be sold to AirAsia Philippines, which currently owns 49 percent. The House of Representatives reportedly approved the transaction and the Senate has also approved the deal. Yao says that he plans to stay on and be part of the merged company as a minority shareholder. Meanwhile, AirAsia Zest recently launched new self check-in service kiosks at Ninoy Aquino International Airport in Manila and several provincial airports to reduce the time passengers spend queuing to check-in. The red kiosks are located in NAIA Terminal 4, Kalibo, Tacloban, Cebu, Tagbilaran, and Puerto Princesa to serve passengers travelling on AirAsia Zest and AirAsia Philippines. With the new service, guests can print their own boarding pass using a touchscreen computer. "We are pleased to offer this free, simple and quick check-in service exclusive for our guests," said Joy Caneba, Chief Operating Officer of AirAsia Zest. "As summer vacation draws near, many people will be travelling and our red kiosks will sure relieve them from long waiting times." The airline is also planning to add additional products and services for mobile devices and online enhancement. 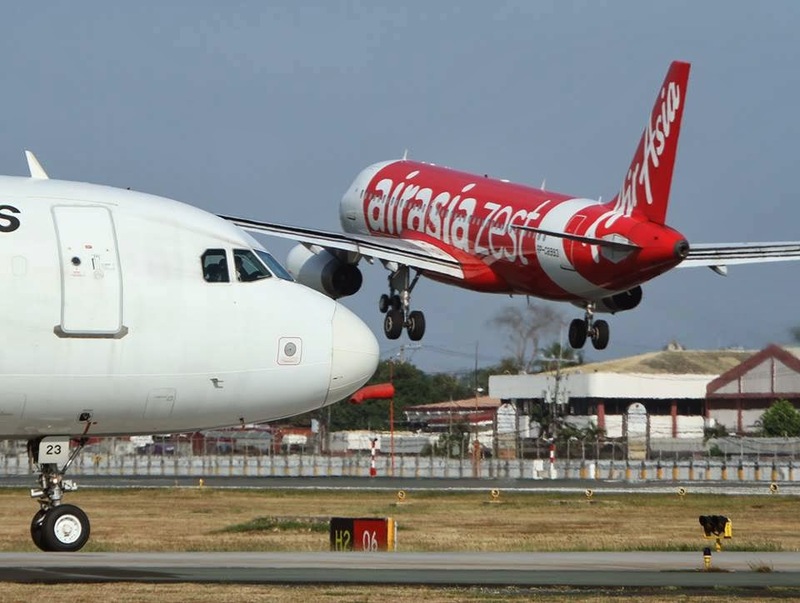 AirAsia Zest's domestic passenger traffic fell 3.5 percent in 2013 down to 1.99 million while international passenger traffic increased by 94 percent to 617,188 over figures in 2012.